Sehr schöne Lage,wundervolle Aussicht. 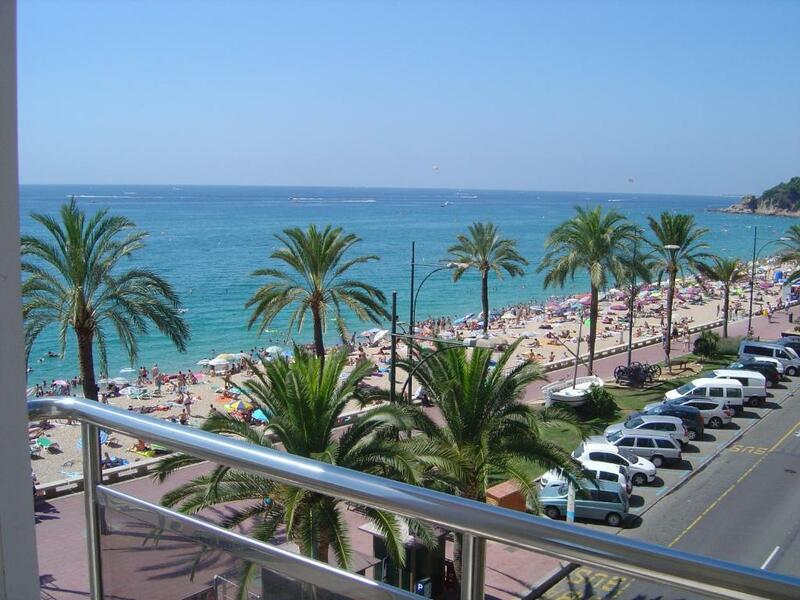 (direkt aufs Meer) Grosses Appartement, ausreichend für 4 Erwachsene oder Familie mit 2 Kindern, (ist gedacht für 6 Personen mit Schlafsofa, würde dann auch noch passen) Wir lieben die kleine Gassen in Lloret de Mar, nach Barcelona nicht weit und von Lloret aus mit Bus problemlos zu erreichen,Tossa de Mar sehr schön, mit Auto oder Bus sehr schnell zu erreichen.......! Appartement was op een top locatie. Uitzicht perfect! Veel te beleven in de omgeving: stad, genoeg keus voor eten en drinken. Goede omgeving voor jong en oud. Strand op loop afstand. Apartaments Tropic This rating is a reflection of how the property compares to the industry standard when it comes to price, facilities and services available. It's based on a self-evaluation by the property. Use this rating to help choose your stay! 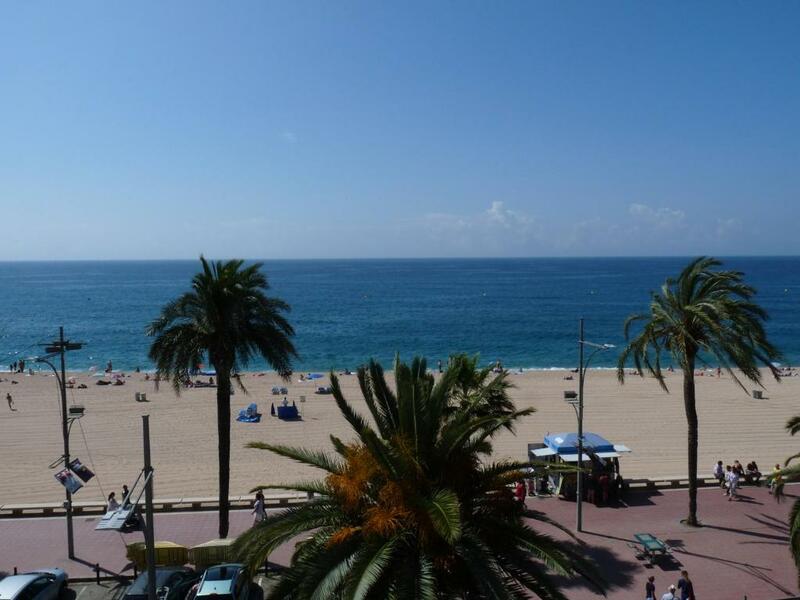 Apartaments Tropic is set on Lloret de Mar’s beachfront promenade, 5 minutes’ walk from the town center. All apartments have a balcony or terrace with full or side sea views. Guests can use the swimming pool and free parking at Apartaments Costamar, located 2,300 feet away. Lloret de Mar Bus Station is a 15-minute walk away. 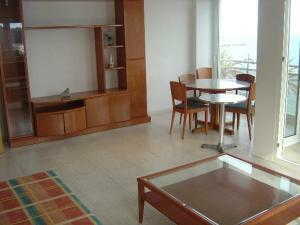 Each bright apartment at Apartaments Tropic has a living room with 2 sofa beds and a flat-screen TV. The private bathroom comes with a bath tub. There is a kitchenette with a fridge, oven and hob. When would you like to stay at Apartaments Tropic? Apartment with a balcony offering side sea views. The bright apartment has a living room with 2 sofa beds and a flat-screen TV. The private bathroom comes with a bath tub. There is a kitchenette with a fridge, oven and hob. Please note that it is not possible to add an extra bed. 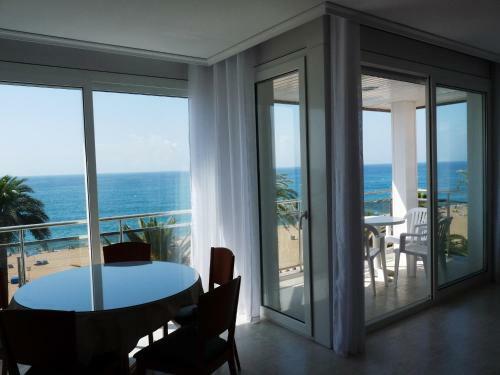 Apartment with a terrace offering full sea views. The bright apartment has a living room with 2 sofa beds and a flat-screen TV. The private bathroom comes with a bath tub. There is a kitchenette with a fridge, oven and hob. Featuring a private terrace looking onto the street, this apartment has a flat-screen TV. 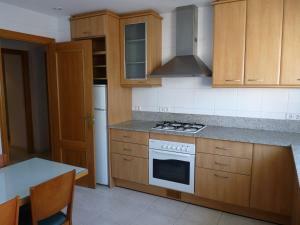 The kitchen is equipped with a gas hob, microwave and washing machine. This apartment has a separate entrance. House Rules Apartaments Tropic takes special requests – add in the next step! Apartaments Tropic accepts these cards and reserves the right to temporarily hold an amount prior to arrival. Please note, there is a EUR 200 damages deposit payable in cash upon arrival for incidentials. This deposit will be returned upon check out subject to a damages inspection. Please note that key collection takes place at the Finques Gimeno offices, Passeig Agusti Font 14,Lloret de Mar. Please note that a EUR 30 surcharge will apply for check-in after 19:00. It is not possible to check in after 23:00. WiFi is available at an extra cost of EUR 5 per week. 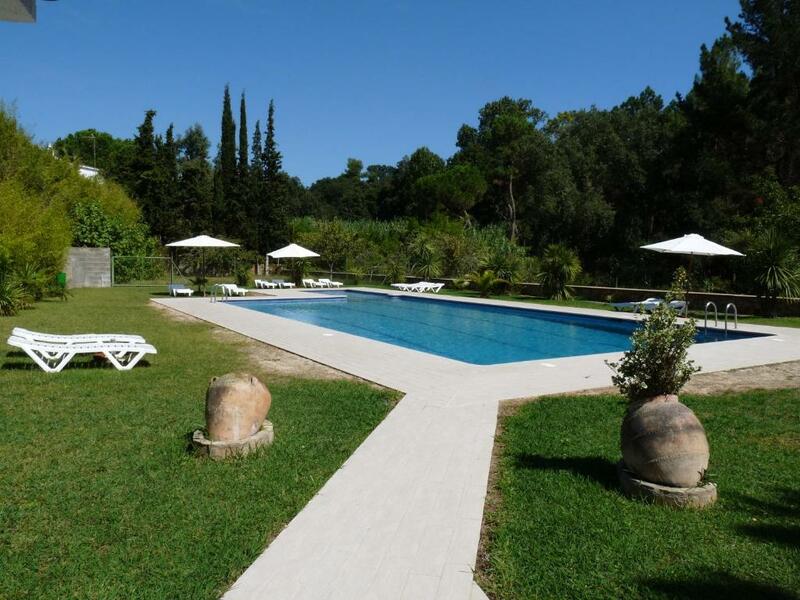 The swimming pool is open from June 1st to September 30th. Please inform Apartaments Tropic of your expected arrival time in advance. You can use the Special Requests box when booking, or contact the property directly using the contact details in your confirmation. No wi-fi, no conditioner, no towels, rooms are dirty, old furniture, you should clean the rooms after check out, deposit 200 euro, for what? Please note, this apartment do not offer late arrival. It was horrible story with getting the keys, we arrived after 00:00, they told me sorry it is to late, please come 9:00 at the morning. Well, I have payd twice - for this night to the apartment Tropic and for the night at the other apartment I stayed. 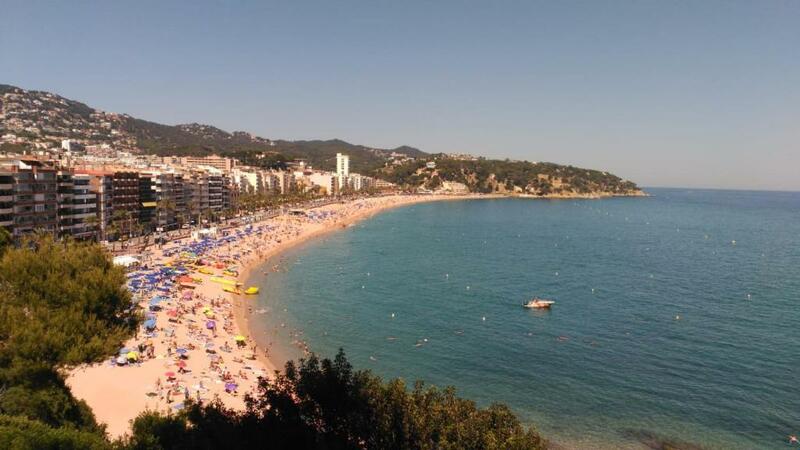 You should take the keys from the other side of Lloret de Mar and give it back at another side. Location is good, but at night have to open the windows, because no conditioner in the rooms, with opened windows impossible to sleep, very noisy.